Our South Tampa chiropractic physicians have extensive experience in a variety of safe, gentle and effective chiropractic manipulative techniques and have been providing chiropractic care to the South Tampa area since 2001. These techniques are individually tailored to suit the needs of each patient. Our chiropractic physicians may use traditional hands-on manual techniques as well as gentle instrumentation. All of these techniques have the purpose of clearing the subluxations which are the cause of pain and dysfunction. A unique approach to health. One that deals with the intimate relationship between the central nervous system (CNS) and its communication with the rest of the body. The CNS uses the brain and spinal cord to "speak" and express life to our bodies. Any interference with this transmission of information prevents us from functioning optimally. We call this interference the subluxation. Finding and removing the subluxation is the goal of a chiropractor. The nervous system, comprising of the brain and spinal cord, is considered the master system. It controls everything in our body-what we see, hear, touch, feel and vital functions. Messages are constantly going back and forth between the brain and body to keep everything functioning properly. Think of the spinal cord as an information highway. Since the spinal cord is housed in the vertebral column, chiropractors look to the spinal column as an integral component to health. When a person receives a spinal adjustment for the first time from our South Tampa chiropractic office, the response we hear a lot is that they sleep very well that night. Some may feel a great deal of pressure being released and/or instant relief. Others might feel a little sore or tired. These are all responses to your body undergoing changes and beginning to adapt. This is just the beginning of the healing process by removing the subluxations so that your body can heal itself. The majority of people that visit our South Tampa chiropractic office for the first time is due to some type of pain and it has affected their lives in some way. This maybe neck pain, back pain, headaches, numbness in the arms or legs, sports injuries or an auto injury. These are symptoms that are more likely related to their spine and nervous systems. By determining if you have subluxations and how it maybe causing your symptoms, we address the underlying cause rather than just treat symptoms. Everyone! Our South Tampa office has chiropractic patients ranging in age from 5-75. Children often sustain falls as they play which puts stress on their spine and nervous system. As the motto goes: "As the twig is bent, so grows the tree". Many choose to come in for maintenance care and prevention. Some have reached a crisis in their health and have chosen to regain their health through our South Tampa chiropractic services. Here are the chiropractic techniques we use to get you feeling better fast! A highly effective and traditional hands-on manual chiropractic technique. The use of a specialized table with moving parts to assist during the chiropractic adjustment. A gentle, non-force and specific chiropractic technique that utilizes instrumentation. It is an excellent technique for the very young and elderly. This is the oldest chiropractic technique in chiropractic that focuses on the first two vertebrae of the spine. A soft tissue manipulative technique developed by the team chiropractic physician of the NFL team Denver Broncos. This highly effective technique focuses on scar and fibrotic soft tissues that are the causes of pain and altered body mechanics. Our South Tampa chiropractic physicians have extensive training and certification in this technique. 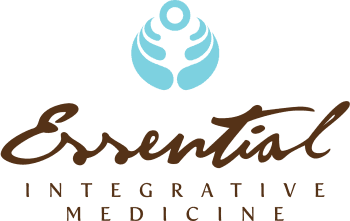 Essential Integrative Medicine has provided comprehensive care for auto accident injures in South Tampa for over 16 years! Medical doctors, chiropractors and therapists all under one roof. Highly effective treatment plans to get you back to health. Professional staff who are able to answer questions regarding your auto accident claim. Immediate appointments available, because it's vital to receive treatment quickly after an auto accident injury. Experience working with personal injury attorneys representing your auto accident case. Experience working with orthopedic surgeons, neurologists, pain management specialists and primary care physicians in the Tampa Bay area so that you can get the appropriate care. We will accept letters of protection. Concierge care service in South Tampa, the hallmark of Essential Integrative Medicine!